London Chess Classic: Can Vishwanathan Anand do better than he has in the tournament? Exactly a year ago when Vishwanathan Anand was playing in the London Chess Classic 2015, his hometown Chennai was affected by torrential rains and floods. In a magnanimous gesture, Vishy opened his doors for the homeless and this was reported by us. This year before his departure for the eighth edition of the London Chess Classic, the city reels under another tragedy - the death of their beloved chief minister J Jayalalithaa. 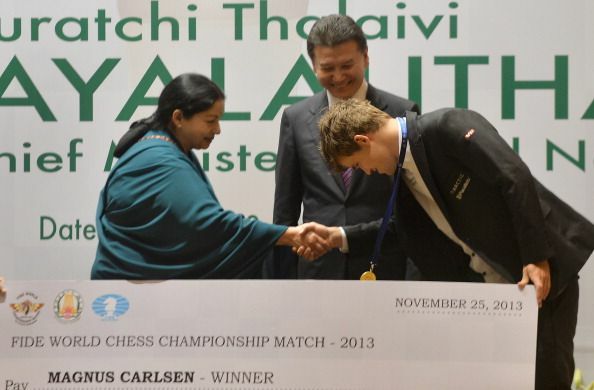 Late Tamil Nadu chief minister Jayalalithaa with Magnus Carlsen during the World Championship in 2013. 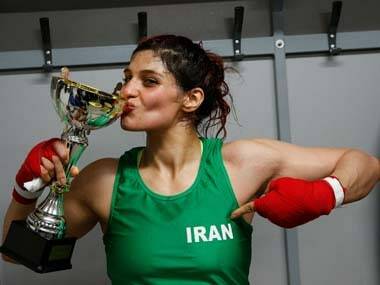 Jayalalithaa was the person responsible for bringing the World Championship to India in 2013. 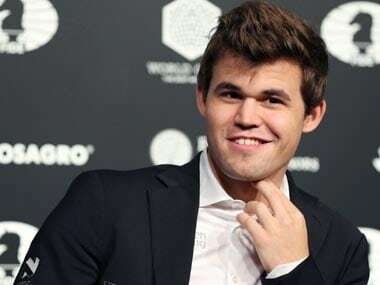 Magnus Carlsen beat Anand and went home with a winner's cheque of Rs 9 crore 90 lakhs. 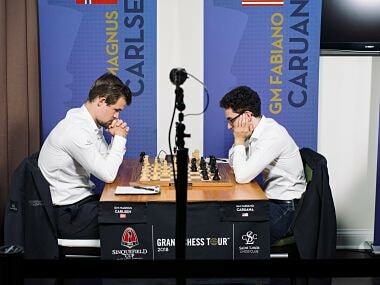 This year, after winning the World Championship in New York, Carlsen took home only Rs 4 crore. This shows the tremendous support chess received from the late chief minister of Tamil Nadu. Anand and his wife Aruna with Jayalalithaa after winning World Championship 2012. Anand has been deeply saddened by the demise of Jayalalithaa. He tweeted and paid rich tribute to Jayalalithaa. However, Anand has to be back on duty on the chess board from the 9 December in London. Five-time world champion Anand would be a major attraction at the London Chess Classic will be held from the 9 to 19 December at the Olympia Center, Kensignton. Eight out of the top ten players in the world will fight it out for winning not only the London Chess Classic title but also the Grand Chess Tour. The playing field also includes former world champion Vladimir Kramnik, three young super grandmasters from the US - Fabiano Caruana, Hikaru Nakamura and Wesley So, Dutch number one Anish Giri, Bulgarian Veselin Topalov and the local hero Michael Adams. 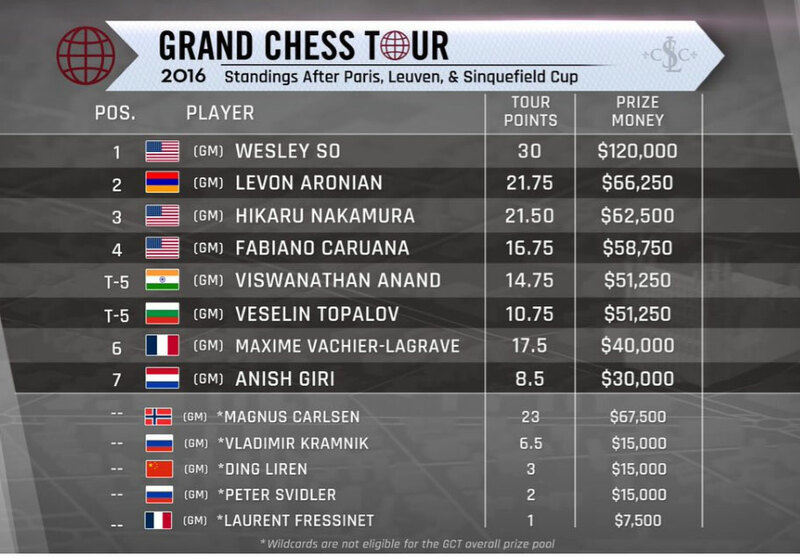 The Grand Chess Tour is a circuit of tournaments being held over the period of 2016. 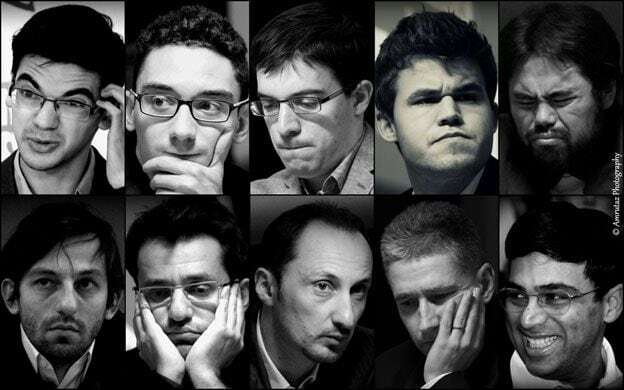 The events included Paris and Leuven Rapid and Blitz tournaments and the Sinquefield Cup. The London Chess Classic is the last event and the winner of the Grand Chess Tour goes back home with an additional $100,000. Wesley So, with 30 points, is clearly the favourite to win. Chess is a game that requires a lot of mental and physical stamina. After all, it is not easy to sit at one place for nearly seven hours at a stretch. Anand showing such high class performances even at the age of 47 is truly commendable. 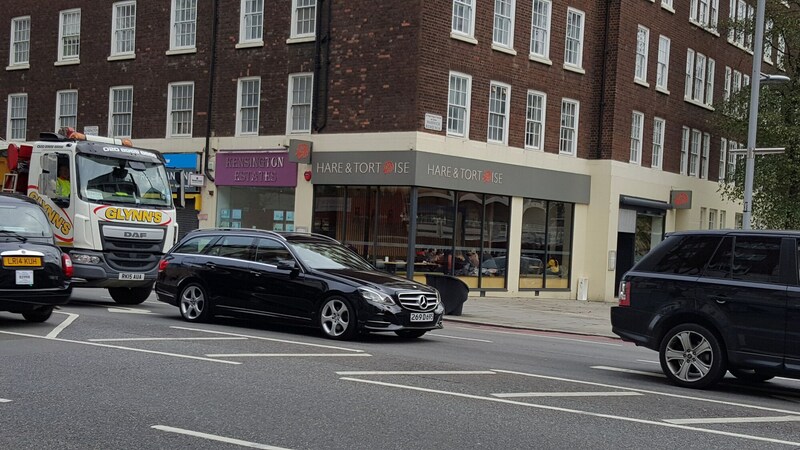 Hare & Tortoise, a Japanese restaurant is one of Anand's favourite places to eat in London. He is currently on a high. He won the showdown in Saint Louis, which was held simultaneously with the World Championship, ahead of Nakamura, Topalov and Caruana. Just two days ago, he played two games for his team OSG Baden Baden in the German Bundesliga and scored 1.5/2 with a draw against Baadur Jobava and win over Marcin Tazbir. The London Chess Classic has not really been a happy hunting ground for Anand. Apart from his joint first finish in the second edition in 2010, he hasn't been able to emerge as the champion. Will 2016 be different? The tournament will begin from Friday at 9.30pm IST and can be viewed live on the official tournament website. Sagar Shah is an International Master and co-founder of ChessBase India. 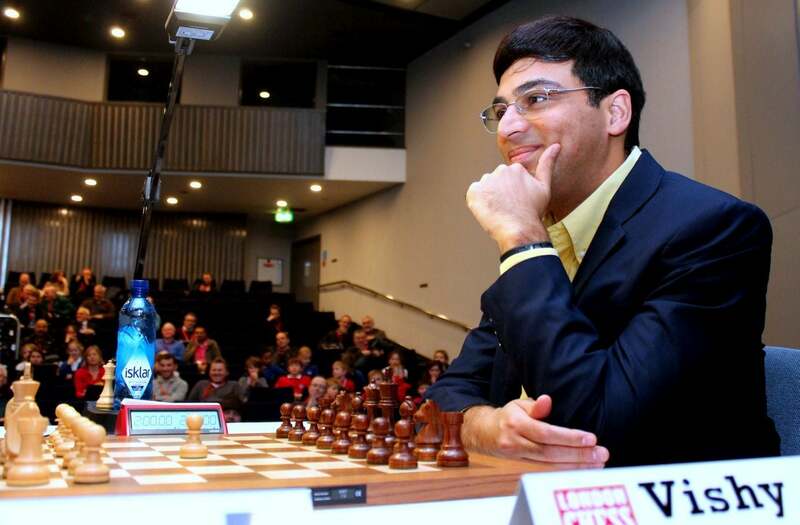 1London Chess Classic: Can Vishwanathan Anand do better than he has in the tournament?